﻿ Protea Hotel Nelspruit Nelspruit. JIMAT di Agoda.com! Ada soalan mengenai Protea Hotel Nelspruit? Dengan lokasi mudah di Nelspruit, Protea Hotel Nelspruit adalah tempat yang hebat untuk menjelajahi bandar yang menarik ini. Terletak 2.0 Km dari keseronokan bandar, hotel 4-bintang ini terletak di lokasi yang sangat baik dan menyediakan akses kepada tarikan terbesar di bandar. Persekitaran yang terjaga dan kedudukan berhampiran dengan Kelab Golf Nelspruit, Hospital Rob Ferreira, Taman Reptilia Buaya Sungai memberi hotel ini daya tarikan istimewa. Di Protea Hotel Nelspruit, perkhidmatan yang cemerlang dan kemudahan yang unggul menjadikan penginapan anda tidak dapat dilupakan. Tetamu hotel boleh menikmati kemudahan seperti Wi-Fi percuma semua bilik, pengemasan harian, meja depan 24 jam, fasiliti tetamu kurang upaya, simpanan bagasi. Suasana Protea Hotel Nelspruit terpancar di dalam setiap bilik tetamu. televisyen skrin rata, kopi segera percuma, teh percuma, linen, cermin hanyalah sebahagian daripada kemudahan yang boleh didapati di hotel tersebut. Senarai lengkap kemudahan rekreasi boleh didapati di hotel, termasuk padang golf (dalam jarak 3 km) , kolam renang terbuka, taman. Protea Hotel Nelspruit merupakan tempat yang ideal bagi penginapan pelancong yang mencari keindahan, keselesaan dan kemudahan di Nelspruit. The room and public areas were comfortable & well equipped. It was easy to find and convenient for driving. Staff couldnt have been friendlier or more helpful. Two issues: I informed the hotel before I arrived that I would be alone, as my husband had died after we made our booking. They did not alter details, which led to me being asked why he wasn't with me. This upset me. Second, the pc internet wasn't working on my return visit, and I'd been counting on using it - tho wifi was fine. That said, I did enjoy my stay, largely thanks to great staff, and would definitely stay again if in the area. Excellent! Would return to this hotel next time. The hotel is very nice and clean. Rooms are spacious and very functinal and comfortable. Service was very friendly. The location is fine, very handy for getting to Kruger Park. The common areas of the hotel are clean and well maintained but the service was poor and the staff certainly need training. The bed and room was very clean and comfortable. Eating at the Hotel is a "Challenge2 and I would advise against it . The food is generally OK but the service is poor. The bar is very small and totally without character. visited the hotel during a very busy week-end. despite being very busy at the time we booked in we received very friendly and courteous service with welcoming drinks.a small problem with our booking was handled very efficiently and to our entire satisfaction. we also received a welcoming gift in our rooms supporting the festivities in the city over the week-end. we can only recommend the hotel without hesitation and agoda for their professional service and great price saver secured on our behalf. Being somewhat of a nervous traveller I found my stay at this hotel very pleasant and restful. I felt at ease and assured that my every need ould be adequately met.Will definitely stay here again on my next visit to the province. Easy to find off the main N4 road through Nelspruit, close to a fuel station for easy refueling of rental vehicles and only 24km from Nelspruit airport and 74km from the Kruger National park. Very little, although an in-room fridge or mini-bar to keep drinks cold would have been useful. The Protea Hotel Nalspruit is reasonably priced and ideally located for both the Nelpruit airport and the Kruger National Park. The hotel rooms are clean, well sized and reasonably priced, though an in-room fridge or mini-bar would be a useful addition. 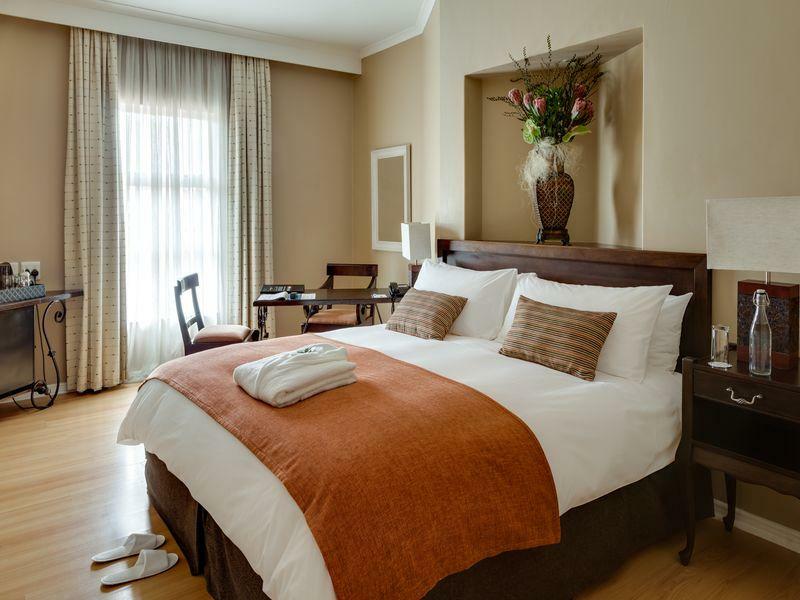 The hotel is ideally located just off the N4 on the outskirts of Nelspruit when arriving from the airport and has plenty of secure customer parking. It as also an ideal stop over point before visiting the Kruger National park, with the Malelene gate only a 74km drive from the hotel. The Protea Hotel Nalspruit is reasonably priced and ideally located for both the Nelpruit airport and the Kruger National Park. The hotel rooms are clean, well sized and reasonably priced, though an in-room fridge or min-ibar would be a useful addition. The hotel is ideally located just off the N4 on the outskirts of Nelspruit when arriving from the airport and has plenty of secure customer parking. It as also an ideal stop over point before visiting the Kruger National park, with the Malelene gate only a 74km drive from the hotel.